On November 9, 2018, the 18th Politikva course for young and politically minded progressive leaders came to an end. 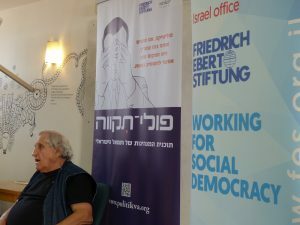 Guests at the closing event included MK Ayman Odeh, Knesset Member and Chairman of the Joint List, and writer Abraham B. Yehoshua. 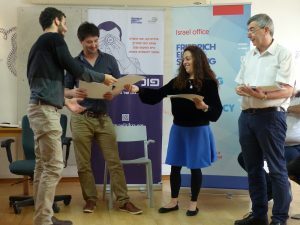 The writer Abraham B. Yehoshua spoke to the graduates about Jewish and Israeli identity. 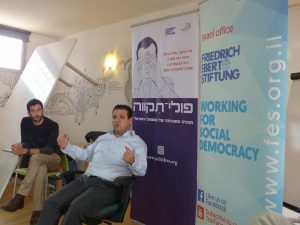 MK Ayman Odeh gave a lecture on the political interests of the Arab citizens of Israel. Both were then open to questions and there was a lively discussion. Afterwards there was a detailed evaluation of the program, the participants expressed great satisfaction and praise for the Politikva course. Together, they collected ideas on how the now around 350 Politikva alumni can use their network better and plan joint activities. The event ended with the ceremonial awarding of the graduation certificates to the graduates. 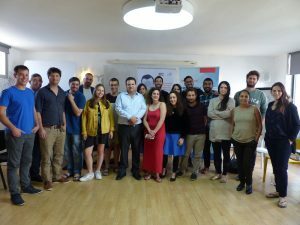 The completed Politikva course had 25 young participants and as part of the course they became familiar with the various facets of Israeli society from a social democratic perspective and were prepared for an active and competent political participation.